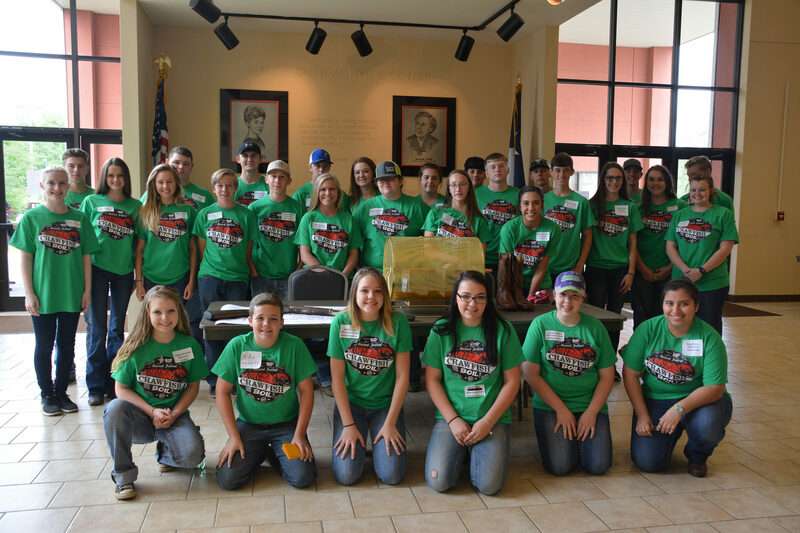 The Harvest Festival Junior Board is made up of eight county 4-H members and five chapter FFA members from each county or school that participates in the Harvest Festival. The Junior Board’s duties are to assist the Harvest Festival Board members in managing the livestock show by working as ring stewards, award presenters, announcers and runners. Beyond working the livestock show the Junior Board is extremely vital to the success of the Crawfish Boil providing a multitude of services to keep the event running smoothly. They also provide much needed assistance at the annual clay shoot. Furthermore, the Junior Board participates in the Longview Can Food drive each November to help feed those in need for the Thanksgiving holiday. To participate on the Harvest Festival Junior Board you must be at least a freshman in high school, chosen by your advisor. Each FFA Chapter is allowed 5 Junior Board members; each County 4-H program is allowed 8 Junior Board members.